Designed & painted ” The Trinity of the Goddess ” for mainstage live painting at the BOOM Dance Temple Sunday afternoon , to the sets of DJ Tristan, Zen Mechanics , Sonic Species , & Avalon . 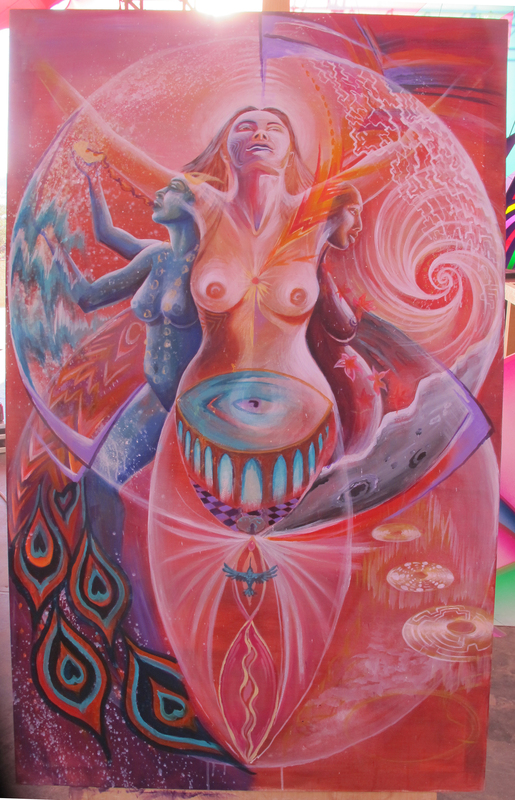 This piece depicts the cycle of creation , preservation , & destruction that is the essence of the feminine mysterys . For this I invited fellow artists Jessica Perlstein & Olga Klimova to join me on stage in painting & embodying a collaborative triple goddess .